Textile Exchange announces the release of the second draft of the Responsible Wool Standard (RWS) for public stakeholder review. The stakeholder review is open until June 3 and is an important opportunity for interested parties to give input into the standard, and to ensure that it meets its goals and delivers value to the wool industry. 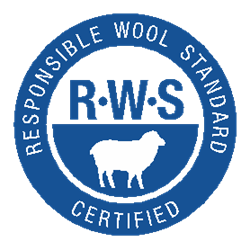 Textile Exchange is excited to announce the release of the second draft of the Responsible Wool Standard (RWS) for public stakeholder review. The stakeholder review is an important opportunity for interested parties to give input into the standard, and to ensure that it meets its goals and delivers value to the wool industry. Build communication and understanding between farmers, consumers and brands. During the first public stakeholder review, we received a large amount of feedback. Comments were received from wool growers, certification bodies, brands, supply chain companies and NGOs. Almost half of the commenters were wool growers. In response to the feedback the standard has been revised significantly to become more clear and concise, with a full set of tools and resources to supports its implementation. The Stakeholder Review will remain open for 30 days until June 3rd, in accordance to the ISEAL Code of Good Practice for standard setting. Following the Review, the RWS Technical Group will review the input and make final revisions before the standard is launched. Documents are available for review at responsiblewool.org. Textile Exchange (TE), founded in 2002, is a global nonprofit organization that works closely with all sectors of the textile supply chain to find the best ways to minimize and even reverse the negative impacts on people, air, water, animals, and soil created by this $1.7 trillion industry. TE accomplishes this by providing the knowledge and tools this industry needs to make significant improvements in three core areas: Fiber and Materials, Integrity and Standards, and Supply Network. TE has developed and maintains a number of important industry standards, including the Responsible Down Standard, the Organic Content Standard, the Recycled Claim Standard and the Global Recycled Standard. A truly global organization, TE is headquartered in the United States with Staff and Ambassadors located in ten countries. To learn more about Textile Exchange, visit: TextileExchange.org. Follow TE on Twitter at @TextileExchange.